When fall comes I always find myself buying a butternut squash, then scrambling to find something to make with it before it goes bad. Why not sneak it into some mac and cheese? I made it for my son and his friend and they gobbled it up. Didn’t even phase them! This would make a great thanskgiving side dish too if you are looking for one. I found the recipe here. My modification is below. 5. Drain and rinse pasta with cold water. Now add the pasta back into the same pot and add your desired amount of cheese sauce on top. Stir well. 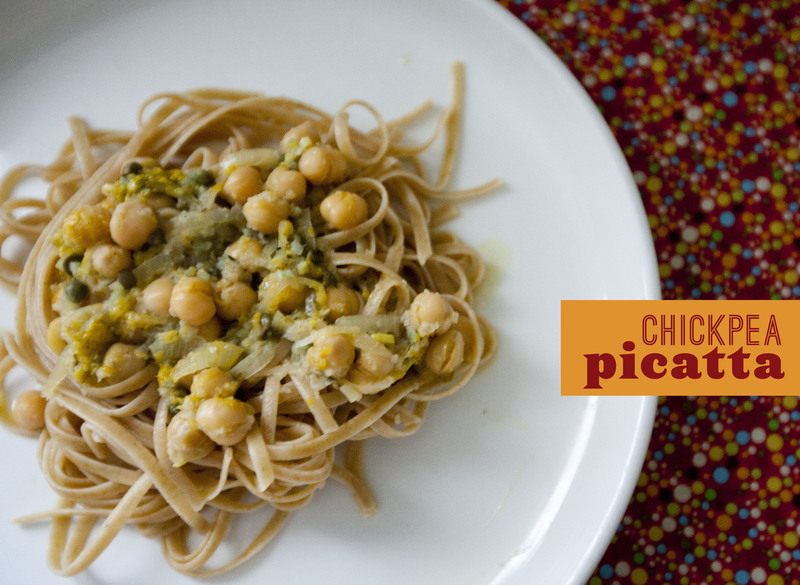 Add in any desired mix-ins like peas or broccoli. You can either heat this up in the pot, or pour it into a casserole dish (I used a 4 cup dish), sprinkle on breadcrumbs + paprika, and bake it at 350 for about 20-25 minutes. 304. 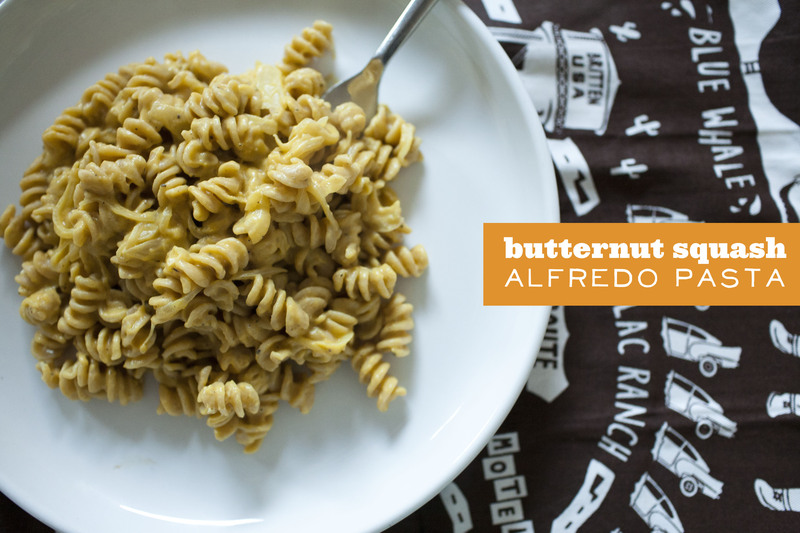 Butternut squash alfredo pasta. I saw this posted recently to the PPK blog, and thought this might be something good to make for thanksgiving. I made something similar once though and it was just ok. But this weekend when I saw a butternut squash at the store, I thought I’d pick one up and give it a go. To my suprise, this was really really good. The sauce had alot of rich flavor, and was so creamy without getting dry, like vegan cream sauces tend to do. It doesn’t use a TON of cashes either, and the sauce makes enough to generously cover a whole bag of pasta. We used brown rice miso, instead of yellow, because its what I had on hand and that seemed to be just fine. This was an awesome fall dish. highly, highly recommend it! Someone in the comments said they served it up with some apple and sage field roast sausage…that sounds like it would pair perfectly! 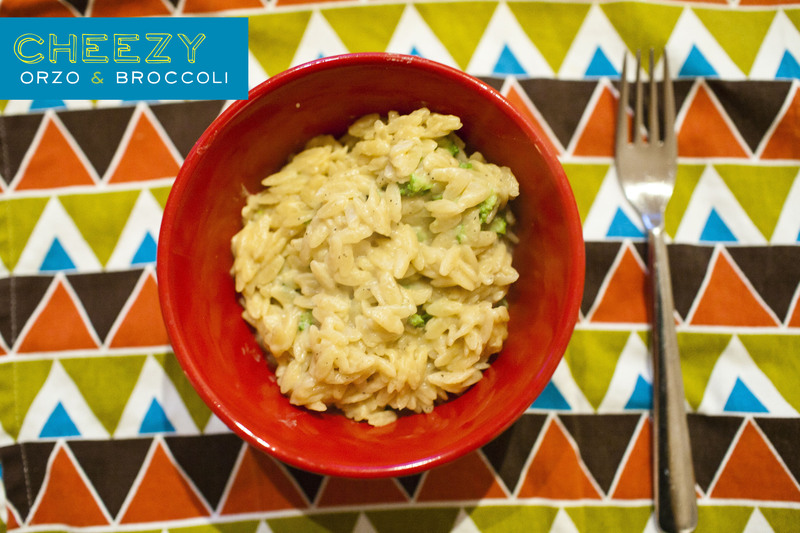 300. cheezy orzo and broccoli. Tonight’s dinner was pretty quick to make, and pretty tasty too! Vegan mac and cheese sauce could be hit or miss, but this I was pleased with – it had alot of flavor! Vegan pasta carbonara with tempeh bacon. Yum. Original recipe found here. I left out the peas, because Im not really a fan of peas. I added spinach instead. I think ill add a few more cloves of garlic to the sauce too next time as well. There will definitely be a next time! This looks like a lot of work, and it usually is more work than I like to do on a weeknight, but honestly, it came together quickly. I didn’t have cashew butter, so I just put 2 T of cashews in the vitamix, along with the rest of the sauce ingredients and that helped speed things along. The bacon came together pretty quickly and the sauce was done cooking before the pasta even was. So this may take a little more elbow grease than normal, but its really not too bad. I think it was well worth it! 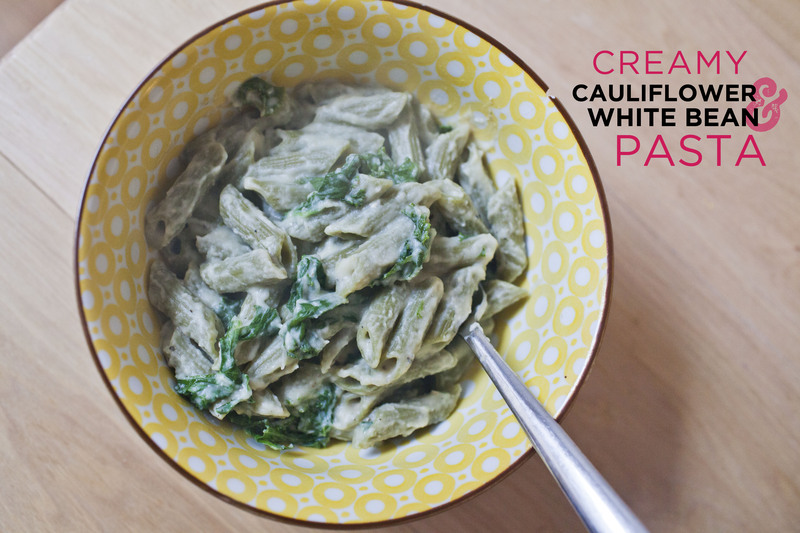 I’m going to paste the recipe here because this is one I want to remember! Prepare the bacon: cut the tempeh into strips as thin as you can manage. In a large frying pan, mix together the remaining ingredients. Add the tempeh and turn each strip over a few times to coat it in the sauce. Turn on heat to medium-low and cook the strips for about 5 minutes until the sauce has begun to evaporate and the bottoms are browned; turn the strips and continue to cook the other side, pushing the bacon back and forth occasionally to prevent sticking, until the liquid ingredients have been absorbed and the bacon is browned and crisp on the outside, another 5-10 minutes. If the liquid is absorbed too quickly, add a little more water, as needed. Turn off heat and set aside. Prepare the pasta: Set your water boiling in a large pot. Cook the pasta according to package directions. Meanwhile, prepare the sauce: Put all the ingredients in the vitamix and mix until its well blended Heat the mixture in the pot over medium-low heat, stirring constantly, until it begins to bubble; cook for about a minute more, stirring constantly, until the mixture is thick and creamy. If the pasta isn’t yet ready, turn off the heat and cover the pot. Once the pasta is ready Add the pasta to the sauce pot along with the tempeh and peas and continue to cook over low heat, stirring occasionally, until everything is warmed through, a few minutes. Sprinkle with fresh parsley and serve. Makes 4 servings. 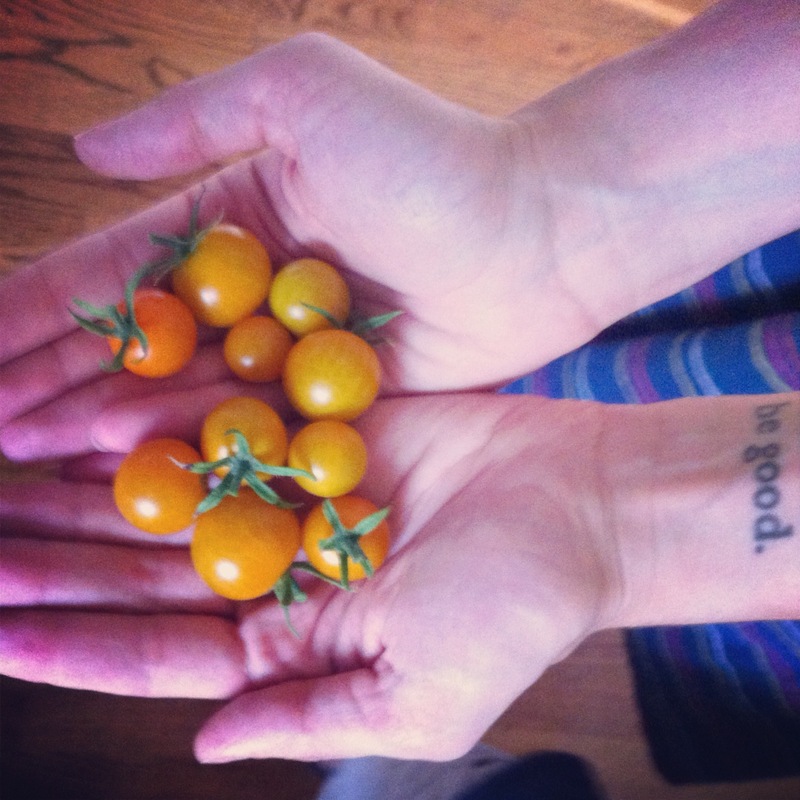 My garden is producing LOTS of tomatoes! 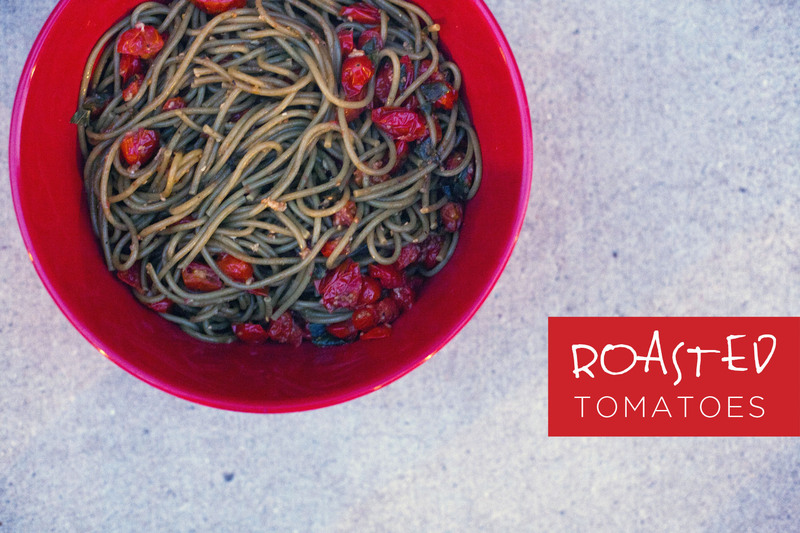 So I needed to do something with them all so I made homeade tomato sauce…in the crockpot! I basically put about 2 T oil, 4 cloves garlic, fresh basil and oregano, (also from my garden), chopped onion, salt, pepper, tomato paste and lots and lots of tomatoes! I cooked it on high for about 4 1/2 hours. I let it cool and then blended it with an immersion blender. It made about two big batches of tomato sauce. Can’t wait to try it out! The arugula in my garden is ready, so now I have it coming out of my ears. 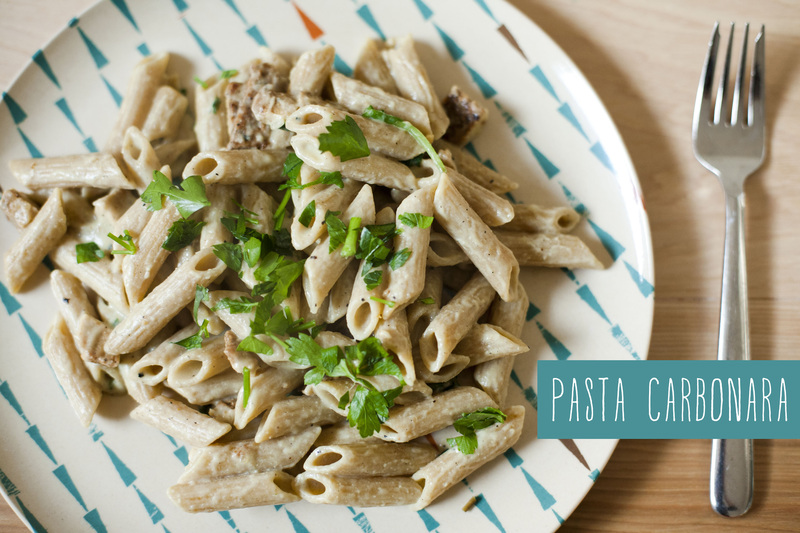 I’ve been trying to find things to make with it – and tonight, inspired by Shutterbean’s version, I made this quick and simple pasta dish. I went to the garden and picked a bunch of arugula. I took about 1/2 – 3/4 cup panko breadcrumbs and sauteed them in a pan. When they were brown and toasty I removed them and put them in their own bowl. I added a little bit of salt and pepper for taste. Then, in the same pan I sauteed about 4 cloves of garlic, lemon zest and juice from half a lemon. When the pasta was done boiling, I strained it, then mixed everything together, adding the arugla immediately and some salt and pepper for taste. 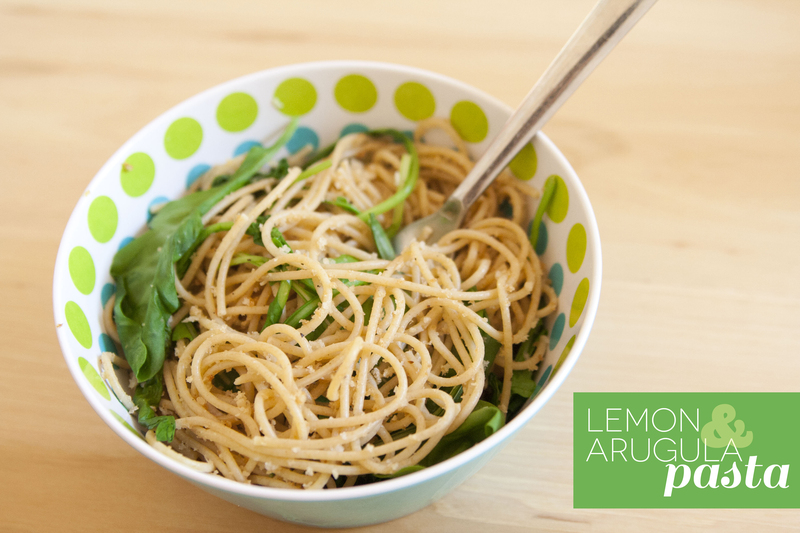 Put into individual bowls, top with more arugula if you’d like, and top with some extra lemon juice. It was delicious and perfect for a hot summer day like today. Then, we headed off to the pool!